Late yesterday, I received some disheartening news. It seems that as we get older, this happens more often and when it occurs, I need to get outside, alone, with my camera. So today, I left the house in the morning, searching for both solitude and images that will help me remember. 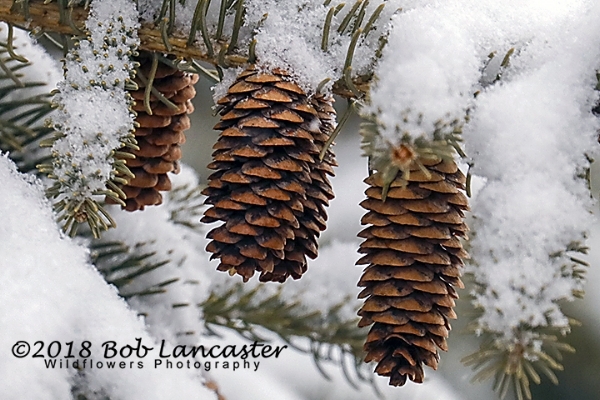 In the neighborhood, I found yesterday's snow attempting to hide some pinecones (see first image below). As I ventured onward, I spotted a few ducks swimming/feeding in a side pond near Lake Macbride. The sun was trying to peak out as the mallard and his mate were searching for some lunch. I put my camera on high speed (approximately 7 frames per second) and recorded the water dropping off his beak, as well as the water droplets on his head (see second image below). The third image (below) is a red-tailed hawk effortlessly flying along the shore, hunting for his next meal. I am always amazed how birds, like the hawks, can fly just using updraft thermals and small adjustments of their wing tips. 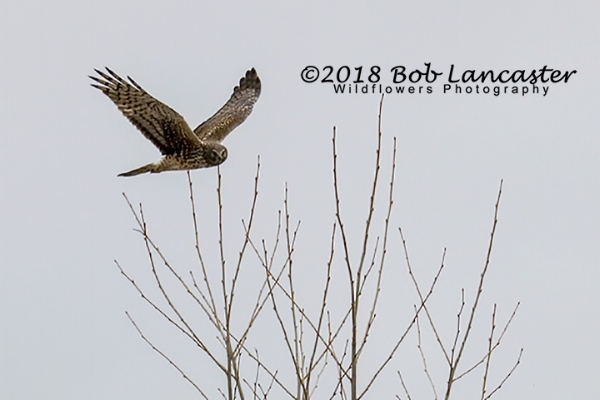 I watched this hawk fly back and forth along the shore for over 20 minutes, as I was hoping to see it dive and catch a rabbit, squirrel or vole. 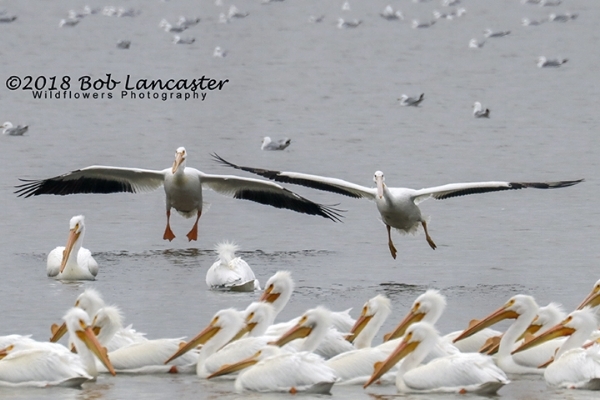 The last image (below) shows a pair of American White Pelicans coming in for a landing on the Coralville Reservoir. These huge birds with wingspans approaching 9 feet, are spectacular fliers. Their large heads and huge, heavy bills give them a prehistoric look. Each bird eats more than 4 pounds of food a day, amazing. They soar overhead and feed in synchronized groups. A flock of migrating American White Pelicans is a majestic sight-a long line of ponderous birds, flapping and coasting. Each bird seems to take its cue from the one in front of it, beginning to flap and starting a glide when its predecessor does. These birds ride rising air currents to great heights, where they soar slowly and gracefully in circles.